Serre Chevalier resort opening date will soon be available. The idyllic mountain resort of Serre Chevalier has a population of 3500 inhabitants. It is situated in the high part of the Alps over 4 different levels at an altitude from 1200m to 1500m: Briançon at 1200m, Chantemerle at 1350m, Villeneuve at 1400m, and Le Monêtier Les Bains at 1500m. Activities available include mountain biking, hiking with family or among experienced sportsmen, also climbing, fishing, swimming in the lake. After a busy and active day the 4500m² of aquatic equipement of the Grands Bains du Monêtier is available for total relaxation. 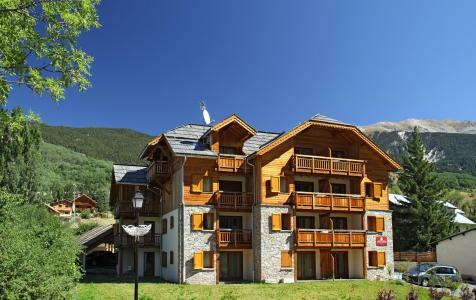 Book your accommodation in to Serre Chevalier resort, a few steps from your favourite activity.